Animal prints are not new to the world of fashion. We used to see them in the fashion collections for the last couple seasons. Seems like animal prints are taking over the women’s fashion. Yet these are not the animal prints as we used to think of them like the leopard, zebra or tiger stripes. 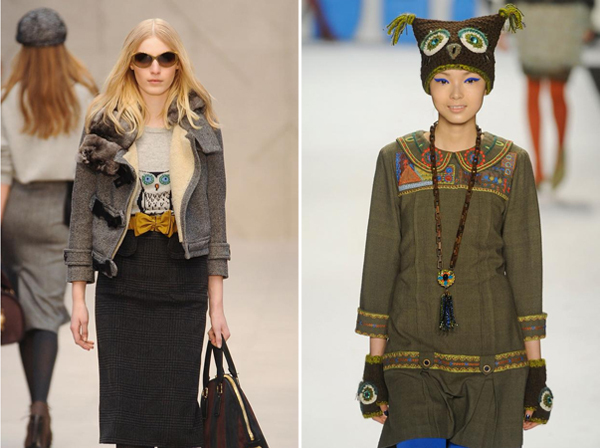 This time these are the animal faces and animal motifs that reign on the catwalks this season. 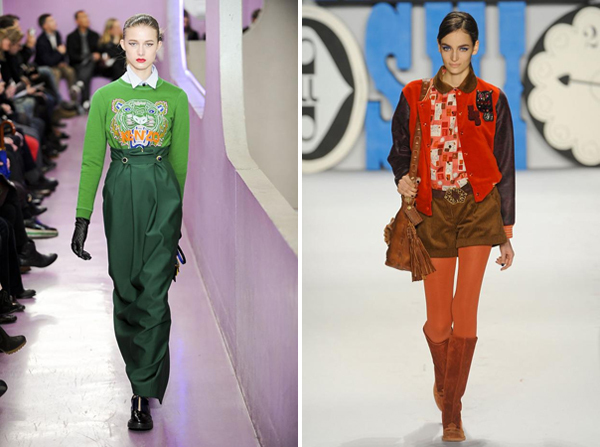 Seems that the general internet obsession with cute and fuzzy things came to high fashion. Givenchy introduced this trend the previous fall with its signature predator’s motifs, but this time it is Burberry Prorsum who brought the animal motifs back to the scene. While Burberry Prorsum added the cute feel to its animals, Givenchy’s in turn were ferocious. 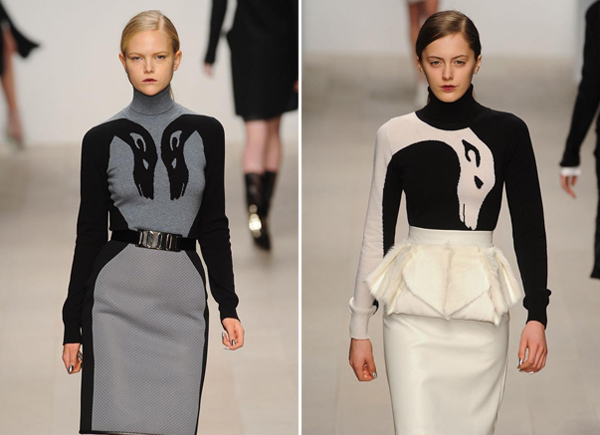 The animal motifs of fall 2012 take their inspiration from the folklore. Just imagine the woods with its inalienable elements like forest cabins and handicraft things. Owls, hounds, foxes and all the other creatures promise to become the spotlight of our fall wardrobe. While Burberry Prorsum decided to introduce the woodland creatures in its collection, other fashion brands found the source of inspiration in different animal themes. 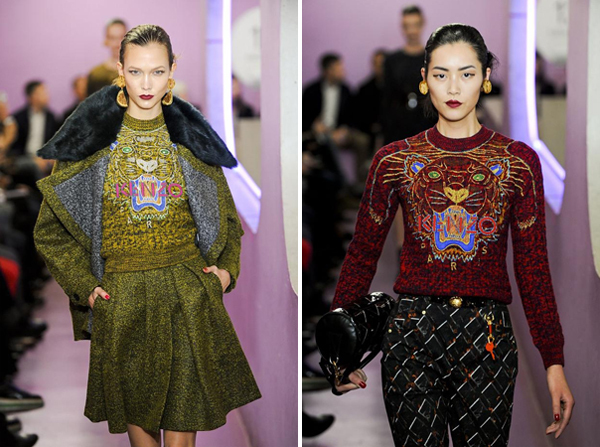 Kenzo, for instance, incorporated the image of the growling tiger. 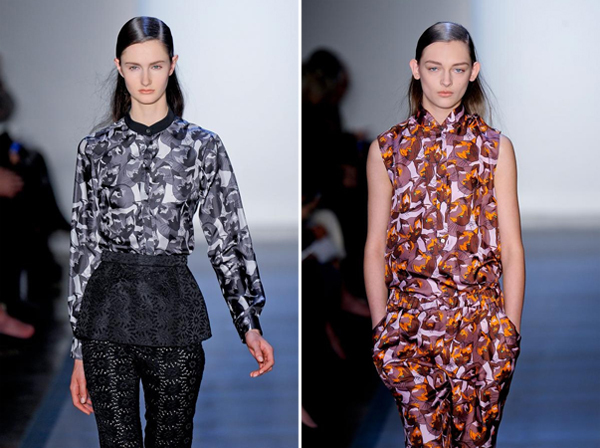 David Koma in turn appealed to the greyhounds in Art Deco style, while Peter Som created the abstract prints of cats. Before deciding to buy the sweater with a nice anima motif, you should stop for a second and think how long this trend will be in vogue. Just keep in mind that this is the type of trend that will be quickly adopted by the high street clothing brands, what will lead to saturation. So, in the couple months you won’t be the only person wearing the nice t-shirt with owl print. But it doesn’t necessarily mean you have to refuse the animal trend: consider investing in something that is a true classic. It could be the Burberry Prorsum’s leather accessories with animal motifs. So, try to find some unique garments that you really love. 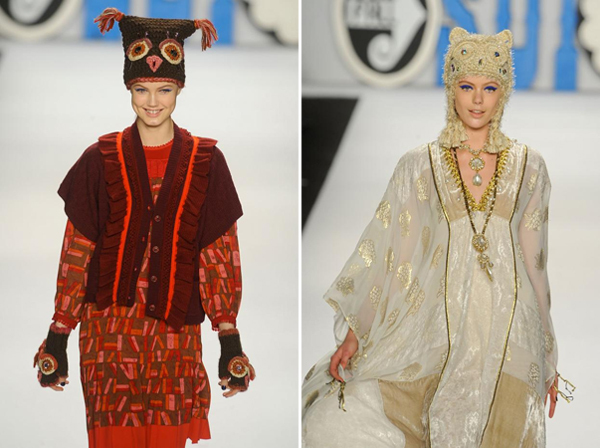 As for the spring 2013 seasons, we can see the different animal motifs coming onto the horizon. Aurora included the tiger prints in its spring collection as well as Kenzo, while Issa introduced the exotic birds motifs. Mary Katrantzou and Etro brands brought some butterflies to their spring 2013 collections.